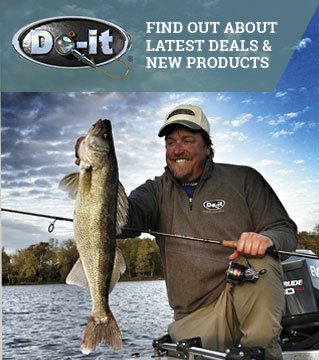 It was June of 2005 when Bass fishing legend Kevin Van Dam blew that secret out of the water. His victory in the Elite-50 event on Lewisville Lake, Texas pocketing him a cool 6,000, was earned by a tactic now called the Shakey Head worm rig. This win and all the publicity it received put the tactic on the covers of magazines and Bass fishing web pages everywhere. And everyone who thought that the little Shakey worm rig was for small Bass could think again when KVD hoisted up his 11 pound 13 ounce behemoth bucket mouth on day two of the tournament. Since that tournament, the half-century old system of the jig and worm took on a new name, the Shakey head worm rig. And anglers across the country started winning tournaments, or finally admitting to it, by using this simple tactic. And simple it sure is. A plain jig and a four to six inch straight tailed plastic worm. Six, eight, maybe ten pound test max and a medium spinning rod. It doesn't get much simpler than that. Here's how it works, although it's hard to fish it wrong. Cast it out and let it sink to the bottom. Now put a little tension on the line and shake the rod tip ever so slightly. The initial pressure tips the jig and worm off the bottom and the subtle shaking makes that worm quiver in a manner that no Bass can resist. If you don't get a strike, lift it, or better yet drag it, another foot or so and shake some more. Strikes vary from the normal telltale thump to the Bass just running off with the worm. In either case, a quick snap of the rod and it's fish on. It's soooo simple. When anglers discovered the basic jig and worm combo fifty years ago, I'm sure things were very basic. It was probably a plain round head jig. That same basic round ball of lead on a hook is still the best choice for this system. But the hooks have changed for the better. in my opinion, the flat-eye jig hook is the difference that makes a great shakey worm jig. Do-Its Shakey head worm SRH-6-A jig has been developed specifically for this tactic. This mold accepts the new flat eye hooks such as Mustad 32798 BLN (32796 for heavy wire), or Gamakutsu's 614 jig hook. For those of you that still like the standard 90 degree bend vertical eye, this mold will accept those too. But if you haven't tried flat eye hooks yet, give them a try. First of all, they are much less vulnerable to snags. And secondly, they don't tip over when you are putting line tension on them and shaking the worm. This new mold for 2007 makes Shakey worm heads in six sizes ranging from a tiny one-sixteenth ounce up to three-eighths ounce. Without a doubt, my two workhorse sizes are the one-eighth ounce for four-inch worms and the three-sixteenth ounce for six-inch worms. The one-eighth ounce takes a 3/0 hook and the three-sixteenth ounce accepts a 4/0 hook. I prefer the Mustad 32798 BLN standard wire hook since it works best with light line and will handle any Bass in my region. Those of you that may tangle with larger Bass may want to upgrade to the 32796 BLN heavy wire hook. I don't get too cute as far as finishing these heads. My old adage "any color is good as long as it's black" works well for me here too. I powder paint mine with black Pro-Tec Powder Paint and then topcoat them with a clear powder mixed with a little Pro-Flake Silver Holographic Glitter. The black jig heads compliment almost any color worm that I use. Speaking of worms, let's talk about shapes and sizes for this system. It's a finesse tactic so keep the worms simple and subdued. Straight worms like Yum's Houdini, Strike Kings 3x Finesse worm, Zooms Finesse worm, Berkley's Gulp Shaky Worm, or Yamamoto's 5" Kut tail worm are all excellent choices. For this system, avoid curl tail or action type worms. Rigging the Shakey head is very easy. It's a lot like a Texas rig but using a jig head. Start by inserting the point of the hook in the head of the worm. Exit the side of the worm about three-eights of an inch below the head. Slide the head of the worm up on the collar of the jig. Now rotate the jig and run the point back into the worm just like a Texas rig. I like the "tex-sposed" set up where you run the hook point out of the worm just enough to expose the point. This just assures good hookups even with light line. Color preferences vary from region to region. My three favorites are smoke with red flake, watermelon with black flake, and June bug. Those three cover most of my presentations wherever I fish. As far as length goes, I use 4 inch worms in Spring and during cold fronts. I'll go to a six inch worm from mid-summer through fall. So, where do you fish the Shakey worm. Well, it's a deadly light tackle finesse tactic so anywhere you are faced with clear water it really excels. It's also one of the few things that works consistently on Bass that are in a negative feeding mood due to cold fronts or high pressure systems. But that doesn't mean it's only for negative Bass. I love it for tossing around docks or other shoreline structure. While other lures land near a dock and are quickly reeled away, this one sits in front of their face screaming "eat me, eat me, eat me" until they can't take it anymore. I also like it on both shallow "inside" weedlines as well as deep weed lines. It really excels on deep inside turns in the weedline that are tough to fish thoroughly with other tactics. Rocky points or rocky mid lake humps are great places to shake a worm, especially if you have Smallmouth present. Yes, this system is deadly not only on largemouth, but Smallies as well. I've even caught Walleyes, Northern Pike, and a Lake Michigan Brown Trout while fishing the shakey worm. The jig and worm rig may be fifty years old now. But is is still one of the most consistent producers in Bass fishing. New hook styles and head designs like Do-Its shakey head jig have brought the system into the 21st century. If you are a Bass fanatic you must have this one in your arsenal. And as always, there's nothing better than catching a fish on a lure you made yourself.